After entering Malaysia, Tagtoo, a Taiwan-based digital advertising company, announced expansion plan to Indonesia. 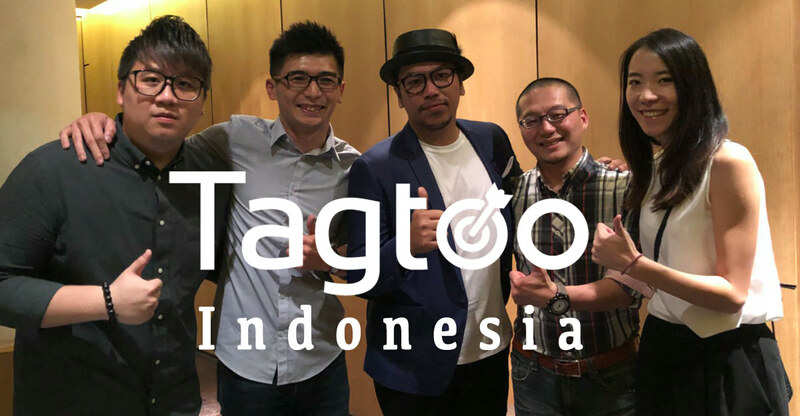 Tagtoo, a digital advertising company backed by AppWorks Ventures, announced the expansion plan to Indonesia in Taiwan Expo 2018 In Indonesia and is reported to cooperate with EV-HIVE, one of the leading co-working space in Jakarta, to serve local e-commerce. Taiwan Expo, a roadshow led by the Taiwanese government to showcases technology and product developed by Taiwanese companies, is initiated in response to Taiwan president’s New Southbound Policy, which aims to burgeon collaboration between Taiwan and Southeast Asia, and has been held in Malaysia in 2017 previously. Digital advertising is currently a popular topic for Taiwan startup. Many startups have secured funding and tried to provide a better solution with the use of technology. For example, AI startup Appier raised $33M series C from Softbank Group and other investors in the middle of 2017 to accelerate its product development to simplify ad optimization process. The expansion to Indonesia, coupled with the previous office launch in Malaysia, might reveal the change of Tagtoo’s core strategy, but Tagtoo is not the only one making such a move. Southeast Asia will increasingly see more Taiwan startup popping out in the coming years and it’s generally believed to be the cause of market saturation and change in Taiwan. While Taiwan is a mature market in terms of e-commerce development, the demand for digital marketing is limited and the market size is small as compared to neighboring countries like Japan and China. Most Taiwan startups have pivoted and decided to target Southeast Asia as the first priority. Indonesia is believed to be one of the largest mobile-first countries in Southeast Asia, with nearly 70 million smartphone users, over 90 percent of internet owners surfing the internet through smartphones, and spending an average of 5.5 hours every day. More notably, this archipelagic nation is expected to see huge growth in e-commerce up to US$130 billion before 2020 according to Ismail Cawidu, the previous spokesperson for the Indonesian tech ministry. “While the private sector plays an important role in the growth momentum, the Indonesian government is also working on building a better business environment for foreign companies. It’s exactly the right moment to enter,” Mick continued with a determined look. Undeniably, e-commerce and related industries, such as logistics and marketing, are budding in an ever-faster pace with more and more capital instilled and regional corporations entering. At first glance, the increasingly harsh competition between regional and local players may make it hard for those who haven’t expanded to. It is, however, not really the case since the market size of Indonesia is big and there are many untapped fields in and beyond first-tier cities. It’s more like collaborations between different parties, according to Mick, to educate and tap the greenfield, making not only the startup scene but also the entire internet landscape become more vibrant.